The history of Longchamp started in 1948 when Jean Cassegrain took over his family tobacco store ‘Au Sultan’ in Paris, France. In the 1950s he decided to cover their smoking pipes in exotic leathers, quickly turning them into must-have, luxury items that were exclusively available only at his store. So popular were they, that even international singing sensation, Elvis Presley, was a fan. In order to expand the business, Jean created the now iconic brand named Longchamp, named after the Parisian Longchamp Racecourse. At the time a flour mill was visible at the end of the racecourse, and as Cassegrain meant to crush grain in French, this was a nod to his heritage. A Jockey riding a horse was chosen as the now famous brand logo. 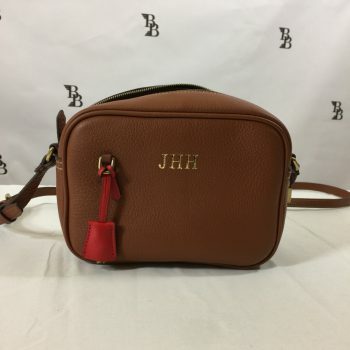 Soon after, Jean expanded into other small leather goods, such as wallets and passport covers and by 1955 the brand introduced luggage and was selling on all continents with the assistance of an export manager. With the 1970s came the company’s use of nylon in a luggage collection. 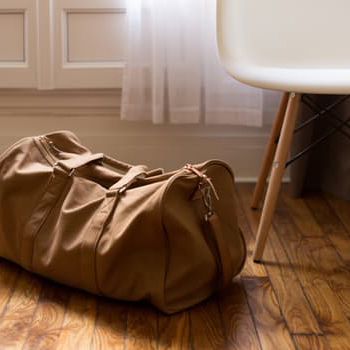 For the first time luggage was light, a change from the heavy suitcases sold at the time. This innovative move would lead Longchamp to design the famous It bag, Le Pliage, decades later (read more below). 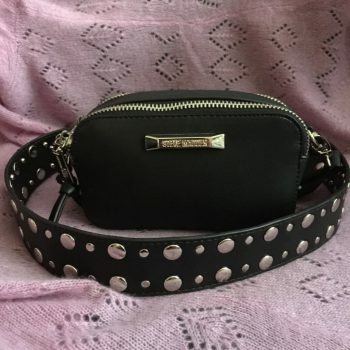 In 1971 the brand launched their first women’s handbag, re-working a toiletry case by adding a shoulder strap and two flaps, and thus became one of France’s leading leather producers. A few years later Longchamp introduced the LM line, their first handbag collection created from printed calfskin leather, silk-screened with vintage horse and belt logo, and an instant hit amongst the new market. This line was discontinued in the 1980s, but briefly re-introduced for their 60th anniversary in 2008. The brand also began its relationship with art collaborations during the 1970s when they introduced a limited edition series of bags featuring a design by the famous artist Serge Mendjisky who added patchwork leather to the bags. In fact, they were the first leather goods brand to enter into collaborations with the art world and still continue to do so today, whether it be with products or in-store installations. Towards the end of the decade Jean and his son Philippe continued to expand the company, opening independent boutiques in the Asian market, one of the first European brands to do so. 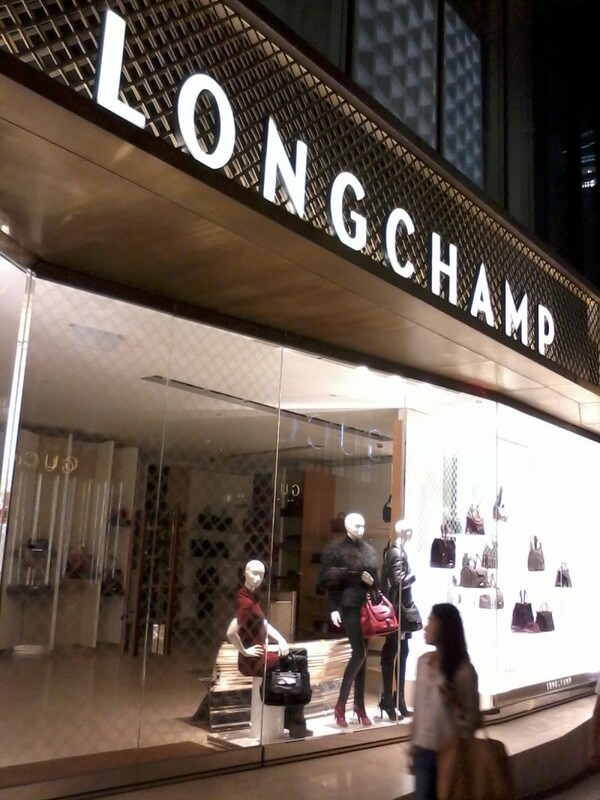 Longchamp was launched into the global business it is today. Longchamp is well known in fashion circles for their iconic handbag named Le Pliage which translates to ‘folding’ in French, and was inspired by the Japanese art of origami. Although this bag was created in 1993, Philippe Cassegrain actually invented its predecessor years earlier named the Xtra-Bag. This bag, like Le Pliage, could fold down to a quarter of its size and be stored in another suitcase. It was Le Pliage that was launched to international fame, with the brand still selling three million of these best-sellers every year. Along with gaining popularity amongst regular shoppers, the It bag status was due to the vast amount of celebrity fans that were seen carrying a Le Pliage. Kate Middleton, Katie Holmes, and Alexa Chung to name but a few have all been snapped with their Longchamp. The signature design of Le Pliage originated in nylon but has since been re-created in a variety of shapes, patterns, colours and fabrics and is offered in more than 12 colours each season. Longchamp also continued their love for working with artists, and collaborated with Mary Katrantzou, Jeremy Scott, and Sarah Morris to create new Le Pliage lines that were all a huge success. Today there are a number of Le Pliage designs available – the traditional bag, the Le Pliage Cuir, the Le Pliage Heritage, and the Le Pliage Néo. In 2004 Longchamp began working with an independent designer for the first time, his name was Thomas Heatherwick. He designed another best-selling handbag called Zip Bag, a bag constructed using a long zipper that when fully opened revealed hints of the colour underneath. The success of this bag, led Heatherwick to later design Longchamps’ New York City flagship store. In 2005 Longchamp began using iconic model, Kate Moss, in their advertising campaigns. Fast forward a few years where Kate Moss collaborated with the brand to design a range of handbags under the label “Kate Moss for Longchamp” – an instant success, combining a society favorite with a traditional brand thereby ensuring that they remained at the forefront of mainstream culture. In 2010 she launched a line consisting of 12 handbags each inspired by her city living and named after her favourite places in London: Soho, Ladbroke, Goldbourne, Gloucester, and Glastonbury. Today Longchamp is still a family business run by 3rd and 2nd generations, present in over 80 countries, with over 30 million Le Pliage bags sold thus far and counting.